Two sewing projects in two weeks! Finally an easy working week! The last weeks had been very stressful, taking all of my balance and energy, but this working week was over so fast and I was finally in the right mood to devote myself to some sewing projects. But before I start sharing with you my projects I really want to thank everyone who commented on my last weeks post thanking all of my followers. It is important to stay thankful in life and to appreciate every single joy and blessing. Some of you were asking me to post my sewing projects here on wordpress. 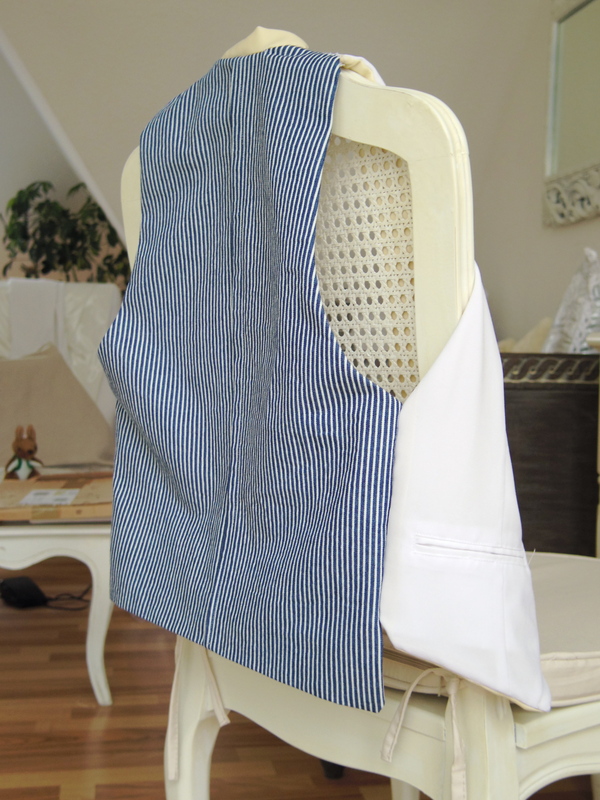 So first of all I finished the waistcoat that I was planning for such a long time. Actually it was really hard work. It was one of my first sewing projects and definitely not an easy one. A waistcoat has so many details and consists of many little parts, but I think I mastered it properly though it’s not perfect. 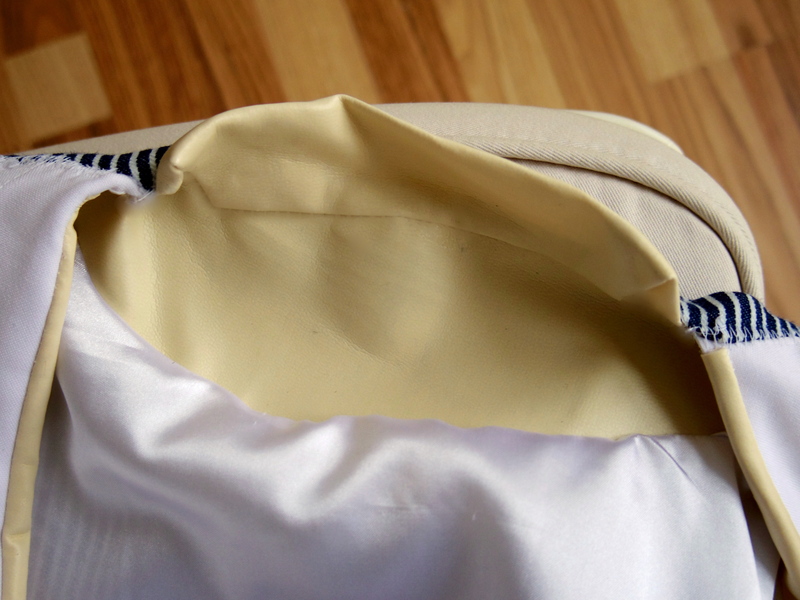 I’ve already done a bound/jetted pocket and I can tell you that it’s one of the most difficult things to do, because you have to be as accurate as possible. I still need to practice that more to get a feeling for it. 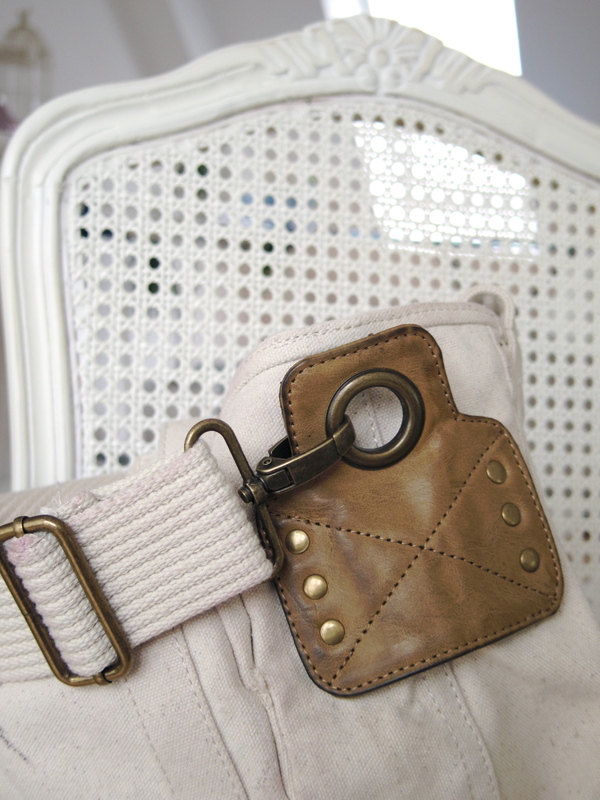 I also used a leather similar material for the inner front part and for the neck part. It requires some practice to work with such a material too. 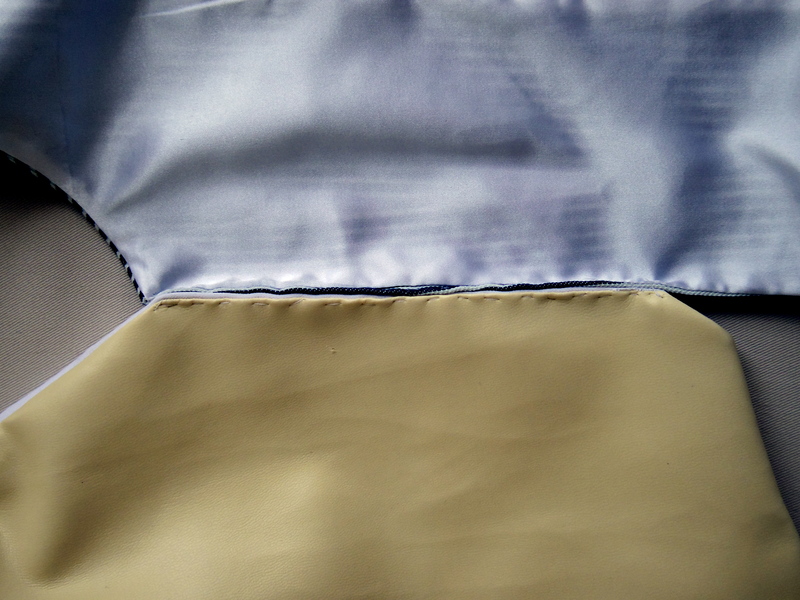 My sewing machine had some difficulties to handle it, but I definitely want to practice this such material more. 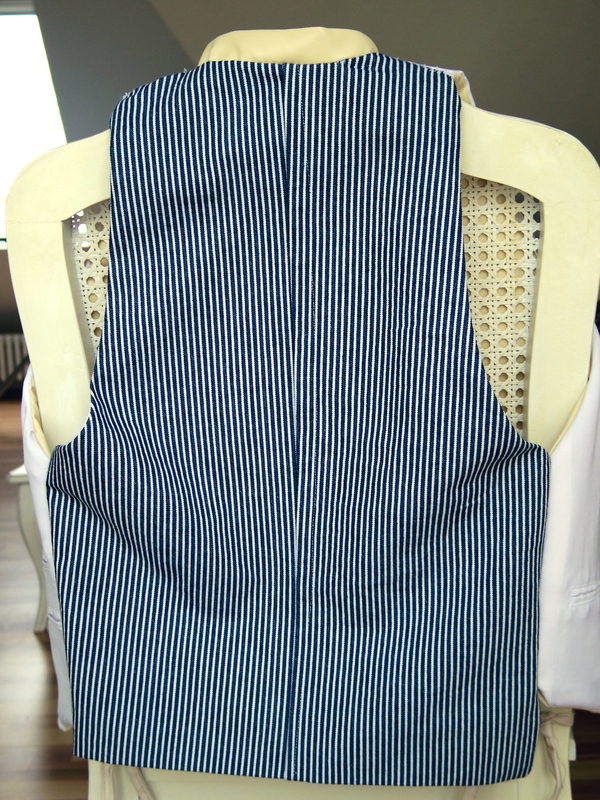 To sum up the result, it’s very acceptable for the first waistcoat but there’s a lot of space for improvement left. Especially the neck piece was done not in an appropriate way. Hope you still like the result. This project took me really quite a lot of my free time. But it’s a great feeling to hold a finished self-made piece in your hands as well as to think of a new project to start to challenge yourself. Last week my backpack ripped completely and I was on a search for a new comfortable bag for work as well as for daily travels. It was not easy to find a bag suitable and for an acceptable price. 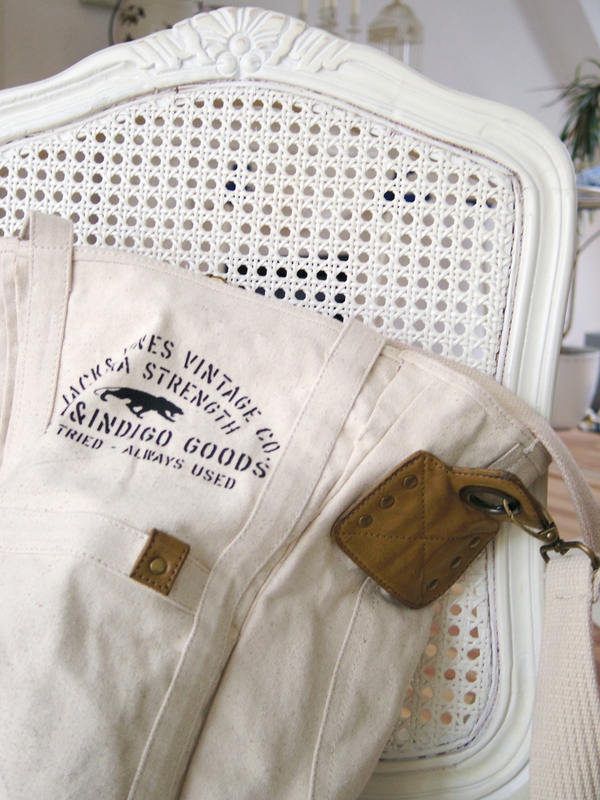 Then I found an interesting shopper bag in a light color that was on sale! The only problem was that it was really huge, one of these extra large shopper bags that are so fashionable at the moment. I don’t like these huge bags at all, but since it was that cheap I figured out it would be ok to simply buy it and change the change of it. That’s exactly what I did! I cut the bag into pieces and started to put it together. It sounds easy to do that, but when you cut the bag into all these single pieces you realize that there is much more to it than just putting the outer parts together. 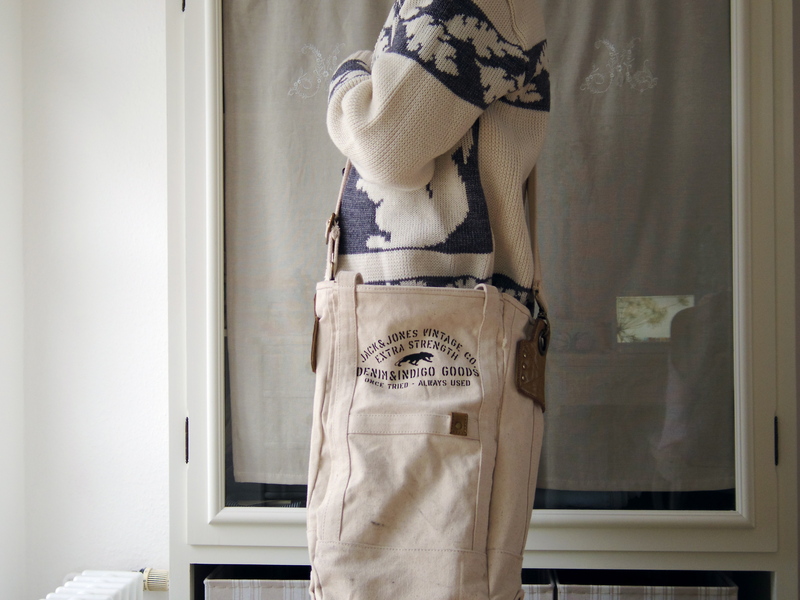 I also had to sew the inner part and to renew the zipper. Due to the thick material I had to do a lot of hand sewing what took me a whole evening of my weekend. I really wanted to finish it the same day so that I could take it to work the next day and I can truly say that I’m more than satisfied with the result. 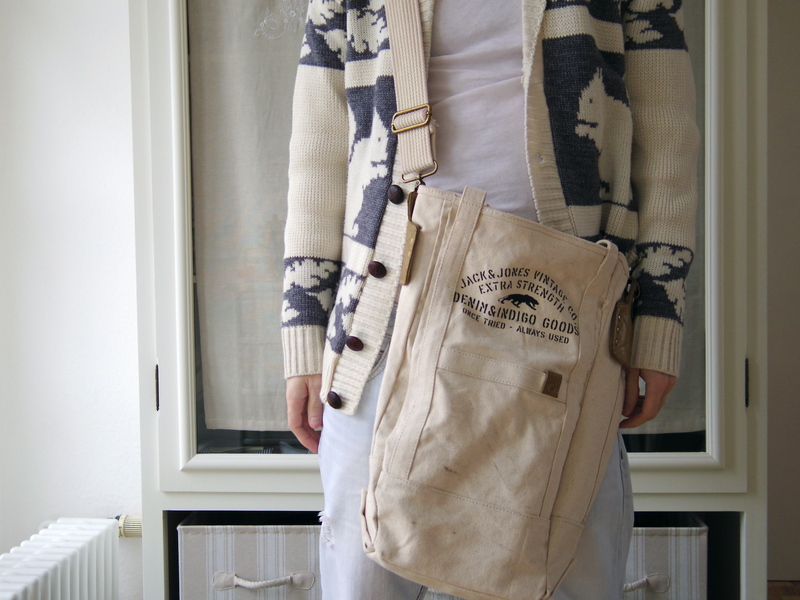 I made the shape of the bag into something like a postman’s bag which I like a lot on bags. I do enjoy taking the bag to work now and it was a good decision to buy it! What do you think of the shape? Both look great, but it’ the bag that really grabs my attention. Well done! 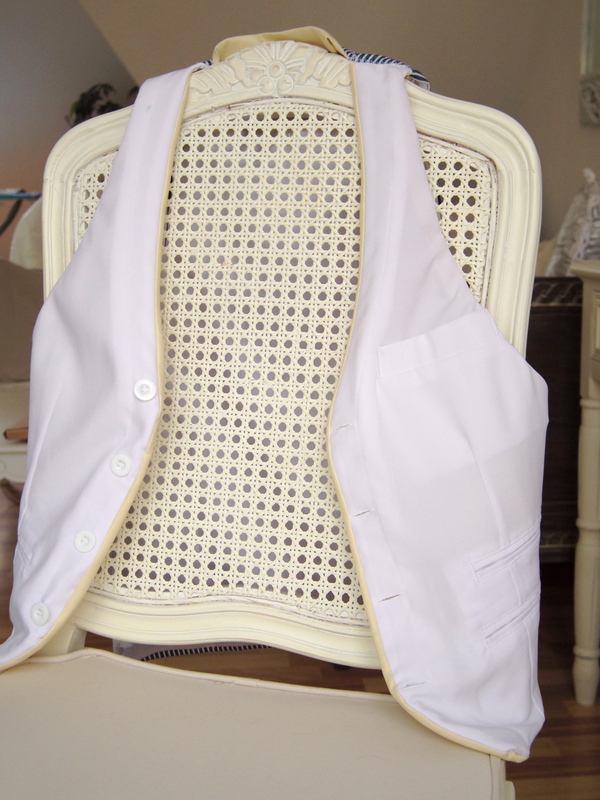 The waistcoat is amazing for a first attempt! Your projects both turned out so well. I used to sew a lot, so I can appreciate the time and attention that goes into something like this. Brave cook and brave tailor! Wow, you’ve got a talent for sewing as well as cooking! Loving the bag. That waistcoat came out so well. Such workmanship! I love the blues and whites, too. Beautiful bag! I am just now learning how cumbersome working with such heavy fabrics can be with a duffle bag I’m working on. Yeah, that is true, I don’t have an industrial machine, so I had to do a lot of hand-stiching.